We all want to eat healthy, fresh foods and today we are keener than ever to focus on diet, balance, vitamins, GM-free and organic foods, to name but a few. In addition to all this, the demands of a hectic business and social life can result in less time being spent in the kitchen trying to attain these goals. 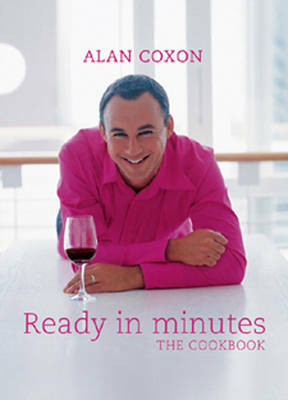 With this in mind, Alan Coxon has put together "Ready in Minutes", a collection of healthy, nutritious and mouthwatering recipes geared around the cooking time that we may or may not have - from no-cooking recipes such as Prawn and Mango Salad with Spiced Ginger Dressing, to 30-minute dishes, including Poached Fillet of Beef with Pumpkin-Mustard Cream Sauce. Alan also shares his passion for food, and has included fascinating insights, facts and history about various ingredients.